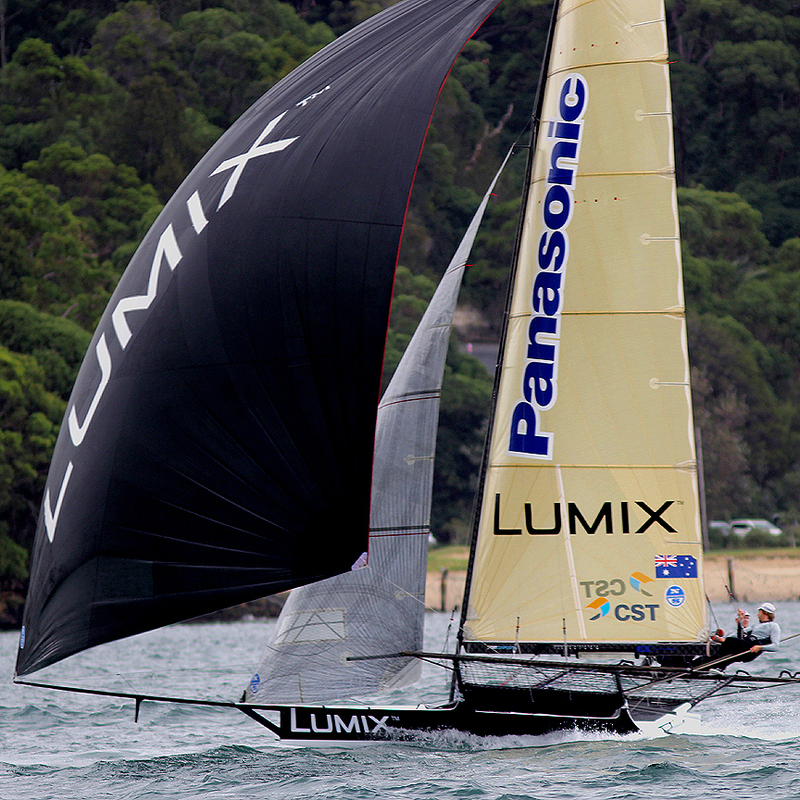 Cool Nautical Pursuits - The Hot Yacht Racing Site for Hot Yachties...Covering the Extreme, Edgy Side of Sailing and the Coolest Stuff, Putting the Sangria into Sailing. 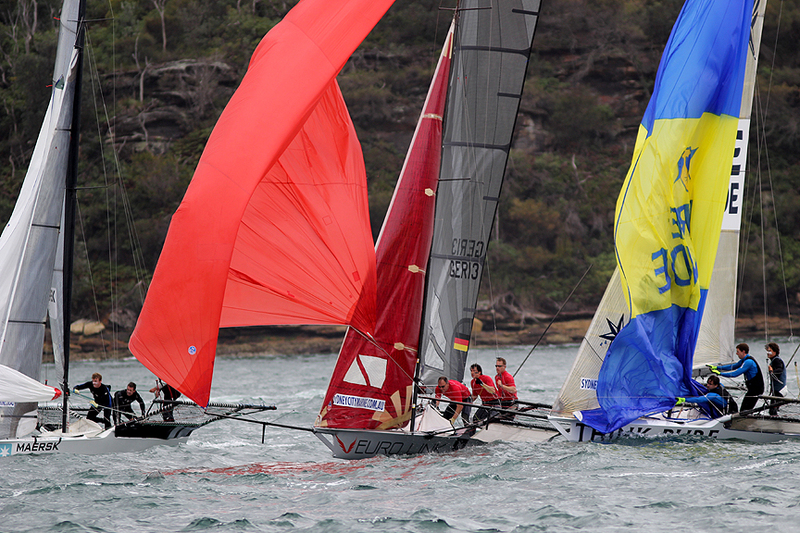 Day one of the 2014 JJ Giltinan 18ft Skiff Championship, proudly presented by Sydney City Marine, produced a first in the 75 years history of the championship since it was first sailed on Sydney Harbour in 1938. The end result being an abandonment of racing for the day with a re-sail likely on the first available lay day (Monday). This probably won’t be confirmed until tomorrow (Sunday). 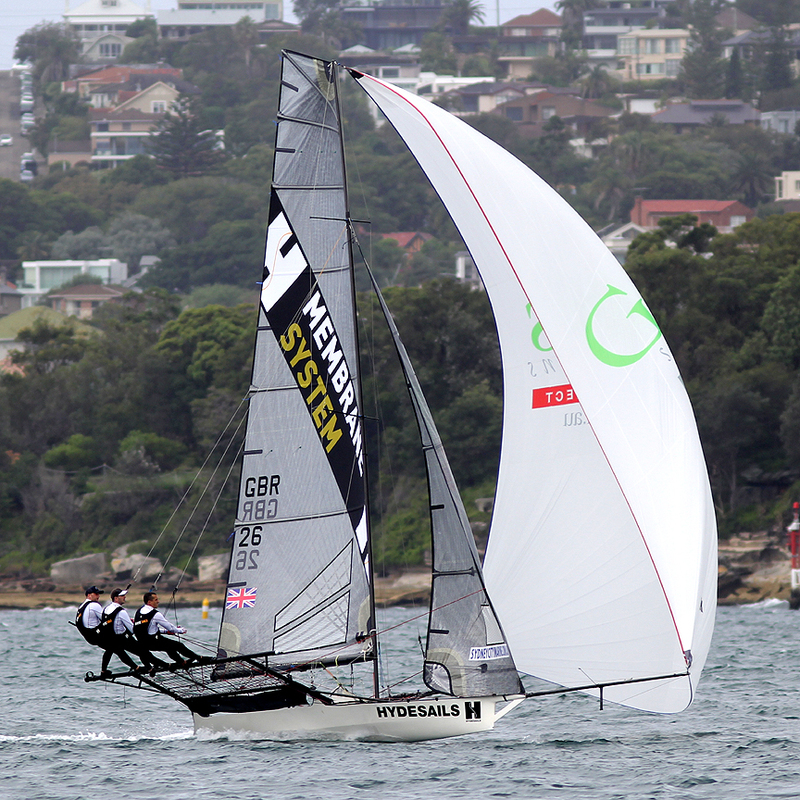 What made today a first was the fact that two races of a JJ Giltinan 18ft Skiff Championship were abandoned on the one day and the championship is still to begin. 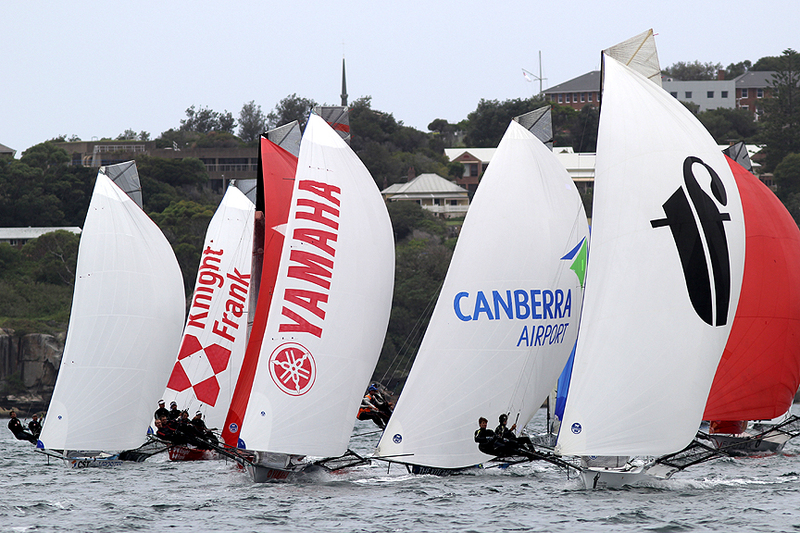 The first attempt was set for a windward-return course of four laps and after two laps was abandoned due to a wind shift. Smeg (Nick Pres, Dan Phillips, Dave Ewings) held a 30s lead at the time from THurlow Fisher Lawyers (Michael Coxon, Dave O’Connor, Trent Barnabas), The Kitchen Maker (Will Phillips, Malcolm Page, Cameron McDonald) and Gotta Love It 7 (Seve Jarvin, Sam Newton, Scott Babbage). 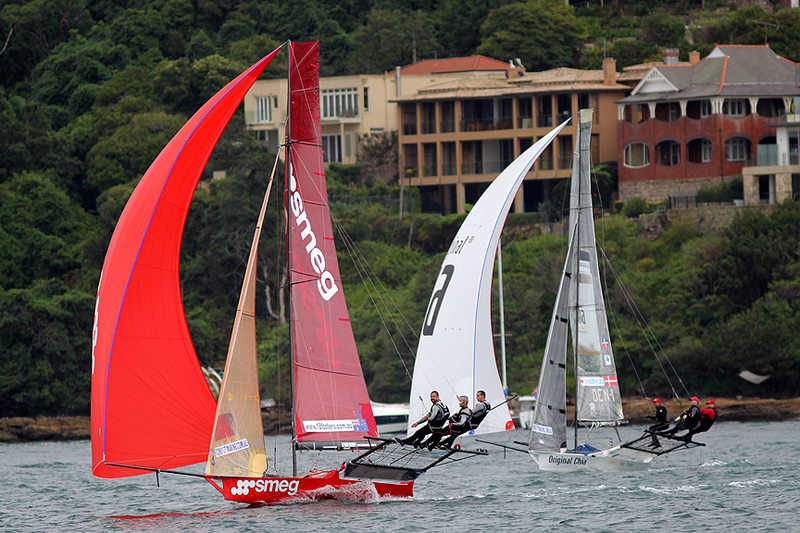 A delay followed before the fleet was sent over a North-East course in a fading wind. 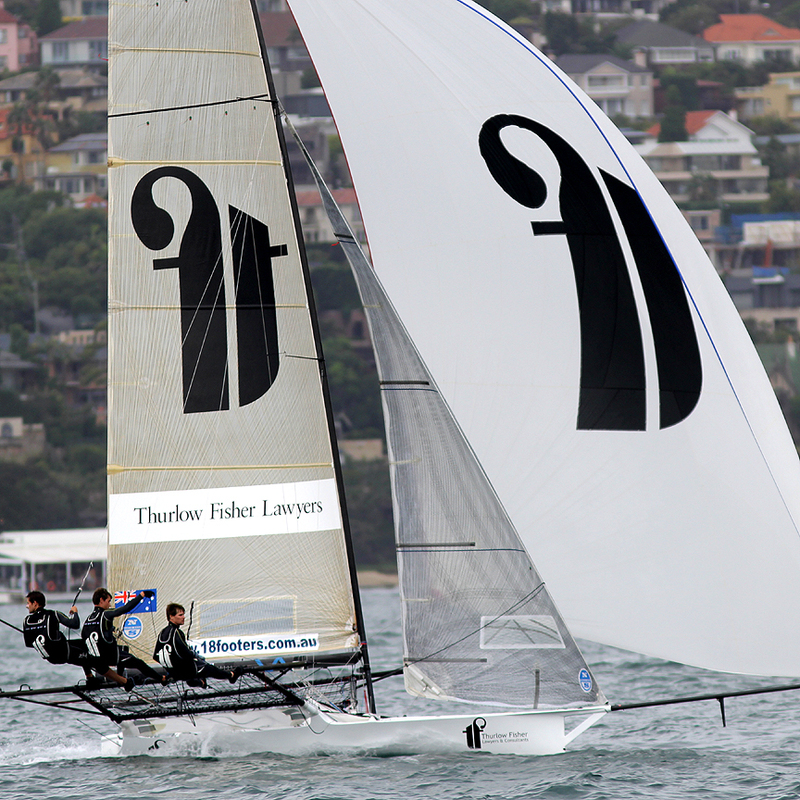 Once again Thurlow Fisher Lawyers was strongly in contention and led at the end of the first of three scheduled laps. This time, Mojo Wine (Chris Nicholson, Mike McKensey, Ricky Bridge) was in second place with New Zealanders Yamaha (David McDiarmid, Andrew Archibald, Mark Overington) and C-Tech (Alex Vallings, Chris Kitchen, Joshua McCormack) close behind Mojo Wine when this race was abandoned for the day.